Jan Marini Skin Research C-ESTA Serum containing DAE Complex is the culmination of years of intensive medical research that has resulted in the first stabilized form of lipid soluble topically applied Vitamin C in a patented delivery vehicle combined with other essential factors. Studies show C-ESTA containing DAE Complex is able to create conditions in the skin that enable dramatic rejuvenation beyond any technology available. Within a short period of time the skin's texture will begin to appear smoother and more supple. With continued use, the skin will become measurably firmer, more resilient, and facial contours will appear tighter and more defined. Deeper lines will appear far less pronounced, skin tones will even and the skin will appear noticeably younger and healthier. Dramatically lessens the appearance of wrinkles and deeper lines. Increases skin elasticity and resiliency. Skin will appear measurably firmer. Facial contours will become tighter and more defined. Skin will look rejuvenated and more youthful. Compatible with Glycolic Acid products, Retin-A™, topical medications, moisturizers and makeup. It is normal for serum color to turn yellow. This will not affect the performance of the product. Shake well. Apply morning and evening to clean skin. Apply over entire face, neck and behind ears. Water (Aqua), Sodium Hyaluronate, DAE Complex (Ascorbyl Palmitate, Dimethyl MEA), Urea, Butylene Glycol Dicaprylate/Dicaprate, Dimethicone, Tyrosine, Fragrance (Parfum), Phenoxyethanol, Methylparaben, Butylparaben, Ethylparaben, Propylparaben, Sodium Hydroxide, Zinc Sulfate, Thiotaine, Pyridoxine HCl, Tocopheryl Acetate, Sodium Metabisulfite , Pantethine, Xanthan Gum, Disodium EDTA, Farnesol, Linalool. 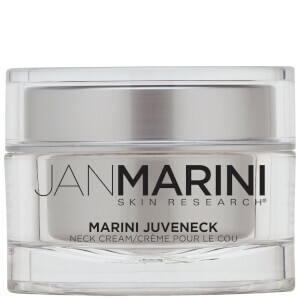 I decided to write my first review on the Jan Marini skin care line! I ordered the management system as I was unsure about investing in another product that was filled with empty promises. This line is more expensive than what I typically would buy but, I read the reviews and decided to give it a try. My skin type I would describe as dry, some sun spots along with wrinkles under the eyes. I also had some major breakout due to another product that I used that my skin didn't like. I have only been using Jan Marini product for a month and I already can tell a difference! This product does seem to do everything that it says it will do. I am amazed on how fast my break outs cleared up, how smooth my skin is and how bright it is. You will not be disappointed if you try this line. It is expensive but, I rather pay for something I absolutely love then spend money on something I will try a few times and throw away. I like the product, have been using it for 10 years, but a few years ago the packaging was changed from a glass bottle with a dropper to a plastic pump bottle. As other reviews have noted, the plastic cap breaks, won't stay on, and it's more difficult to get the product out. With the dropper I could control exactly how much product I used. With the pump I sometimes get too much in one pump, sometimes too little and when I pump again too much product comes out. This is wasteful - though probably the idea behind the new packaging. Wasted product means you have to purchase more often. The nozzle gets clogged often and it's difficult to use all the product as the bottle starts to run low. I end up having to use a q-tip to scrape out the last of the product - also wasteful as the q-tip absorbs some of the product. Sadly I have decided to move on to a different product that isn't so wasteful and poorly packaged. If Jan Marini ever brings back the old bottle I would use again. This is just too expensive to have waste. My dermatologist recommended this product to me. The product itself is very nice but when they switched packaging from the square glass bottle with the dropper to the plastic pump bottle the problems started. The plastic cap breaks if packed in a toilet kit or if taken on board in a plastic bag. I've had three bottles that had pumps that did not work or stopped working well before the bottle was empty. I will change to another product until JM considers changing their packaging to something that works. I have been using this product for two years with no problems. The bottle from SkinStore was awful. The produce will barely come out. It's as though the dispenser is clogged. Due to the design, there is no way to fix it. It makes me think the product was old and it dried out, causing the problem. I love this product and have used it for years in spite of the high price but the new packging is horrible! The clear plastic tops crack and no longer stay on, leaving the pump exposed and resulting in loss and waste of the product. Also, they're impossible to travel with as the exposed pump leaks in my make-up case. Very bad design! Will have to find something else to use when I travel (which for me is often). great product. i love the way it makes my skin look and feel when i use it in the morning. it definitely makes my skin younger looking! This product made my skin noticeably firmer and brighter within a few weeks. Its also very moisturizng while being very light and absorbs right away. Also the pump has a new packaging so there are no more problems with it squirting all over as other reviewers mentioned. 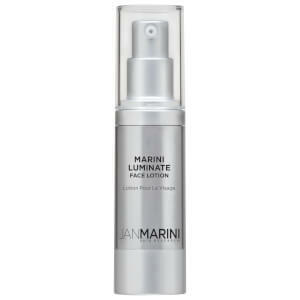 Jan Marini C Esta Serum is an excellent product and really smoothes the skin. However, the new packaging is a disaster. The dropper system used to work a treat. You could draw it up into the syringe and place a few strategic drops on your face. Spread it on - job done. Now, they've put it in a pump dispenser. Big mistake - this is a liquid, not a cream, so, of course, when you press the pump it squirts and splats all over your hand - or, worse still, escapes between your fingers - or, as happened to me yesterday, it goes off at an angle and squirts all over the mirror! If you press it again, you get too much - so, all in all, there's a lot of wastage, which, at this price, doesn't make me very happy. Bring back the dropper bottle - if it ain't broke, why fix it?? I'm still trying to work out a way of dispensing it from the pump into my old dropper bottle. The Best Vitamin C treatment on the market! I have used every advanced Vitamin C facial treatment available, all well-reviewed, all very expensive (I'm a sucker for up-market skincare). Anything to improve my aging complexion--I have good genes with normal/combo 50s skin that looks a decade younger, but I'm still always on the lookout for new products to stave off those dreaded forehead frown creases (II) and fine lines. Jan Marini C-Esta serum is the best product I have found--it calms the skin beautifully, diminishes fine lines and wrinkles, and produces a real glow. In fact, when used in conjunction with other JM products, it's even better. I use her glycolic cleanser and Bioclear lotion, as well as her truly great retinol product, Factor A-Plus cream. This is fabulous skin care with reliably phenomenal results!